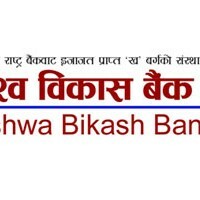 Bishwa Bikash Bank Limited (BBBank) is a Regional Level Development Bank having its Head Office in Chipledhunga, Pokhara, Kaski, Nepal. Bank has been registered under the Company Act 2063 (Bikram Era) with a mandate to operate as a Development Bank within the framework of Bank & Financial Institution Act 2063 (Bikram Era). The Bank has been established with the aim of collecting idle sources of funds and lending it to productive sector by providing employment opportunity for overall economic development of the country through effortless, reliable and quality banking service. Zeal of the promoters and experienced & qualitative management team, the bank is expected to serve Nepalese people with great pleasure and professionalism. The Bank is being promoted by local and national level professionals like industrialists, academicians, businessmen, ex-servicemen, bankers etc. As slogan “your convenient bank”, BBBank is committed to provide quality service conveniently.